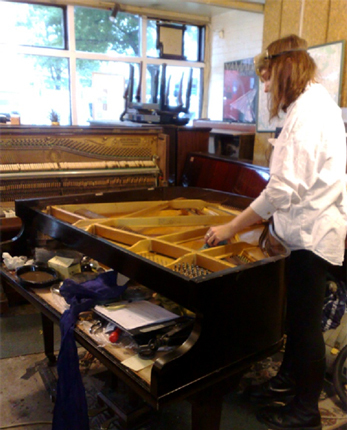 At Hampstead Pianos we are able to offer minor piano restoration work, such as replacing moth damaged felts, through to a complete re-build. Tasks we take care of include: soundboard repair and restoration, re-pinning the pin block, replacing the pin block, new hammers and other associated action work, along with a complete casework restoration service. If you would like to discuss your piano restoration requirements, please contact us and we will be happy to talk through the options.